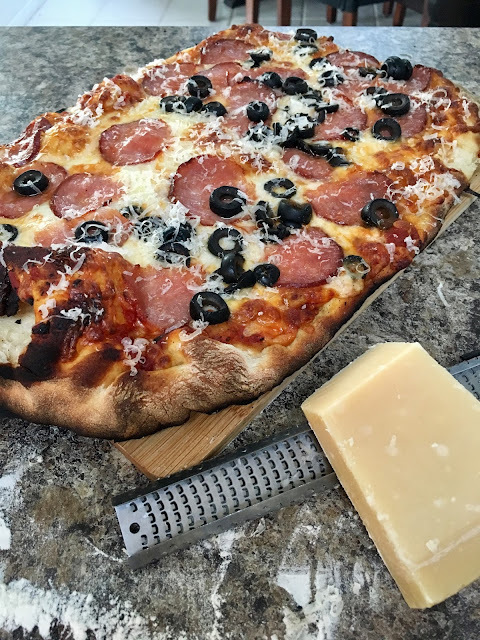 We attempted pizza on the BBQ grill again, using the pizza stone. 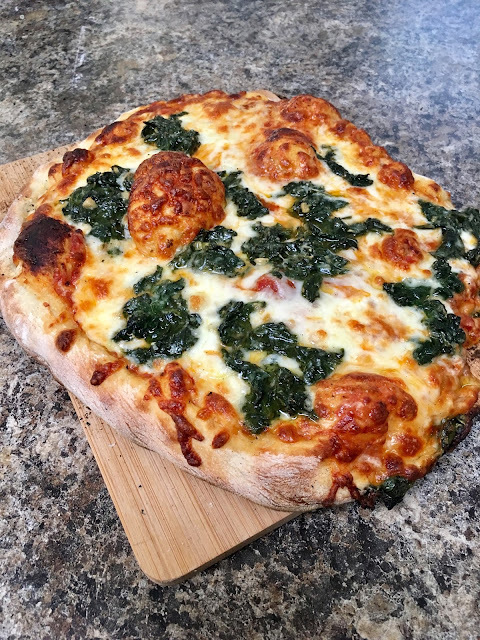 This time we used fresh store-bought dough that I got in Sprouts. It was pretty decent. I also bought a wedge of Parmigiano Reggiano which was amaaaaaaazing. Ed's pizza (above) has summer sausage and black olives. Mine has the sautéed spinach and garlic left over from Father's Day dinner. Very delish. Look at that beautiful bubble in the middle of my pie!